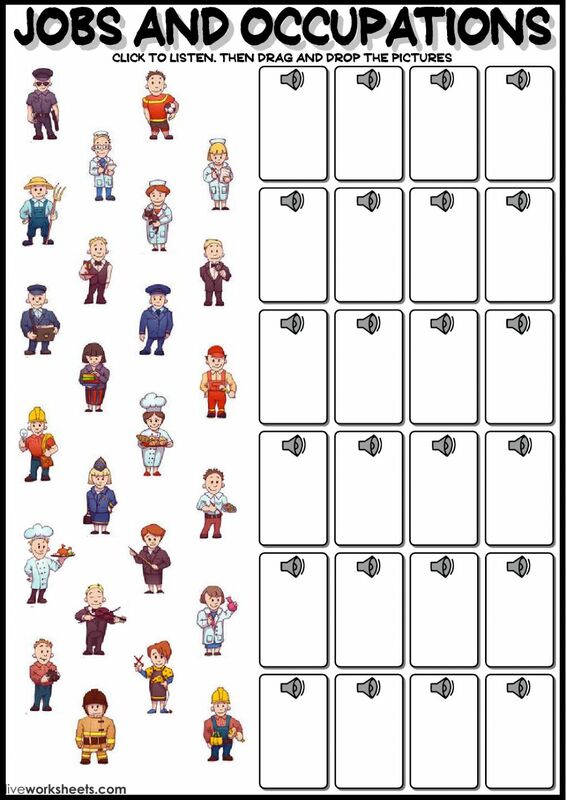 Listening worksheet to practice vocabulary related to jobs and occupations. Click to listen, then drag and drop the pictures. Thank you Victor. Tomorrow my special students will do these 2 ws. Good job! Wish you a good week.